Okay, okay, one person wanted former Prime Minister Tony Abbott to be a special messenger for indigenous issues: current prime minister Scott Morrison. Okay, okay, a person wanted former Prime Minister Tony Abbott to be the special envoy for indigenous issues: current Prime Minister Scott Morrison. And after he announced Abbott in that role in August (and he admitted with impatience) Indigenous advocates have been unanimous in their public reaction. They do not know why he is there, and they are wary of contributing. Prior to the first meeting between Prime Minister Morrison and his indigenous advisory council on Thursday – that Abbott has said he is unable to do – it is worth looking at what indigenous leaders think about the role. 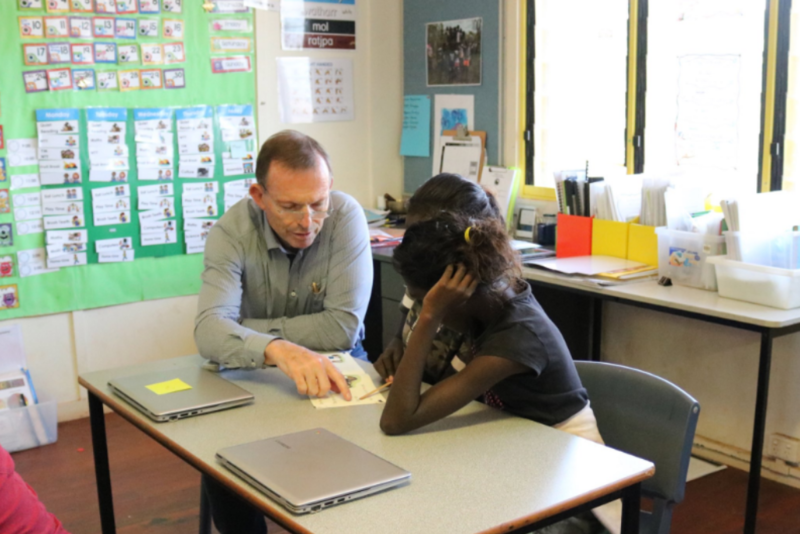 Abbott made his first visit to the North Territory as a special envoy for indigenous jobs this week, where he visited schools and small indigenous communities to hear about issues that affect them. His focus was on education. "Structure, discipline, repetition and I think the feeling of mastery coming when you start getting things is really true in these schools," Abbott told the 2GB radio this week. "It's absolutely important for every kid to go to school every day if our children have a good future," Abbott said on Twitter. On Wednesday, Abbott left the Borroloola community for being "arrogant". "He did not want to hear us," said Gadrian Hoosa, a parent and member of the school council Guardian Australia. "He wanted to get up and go. He did not want to answer our questions." And while he said he was unable to do it at the first meeting between the prime minister and his indigenous advisory council, he promised it would be time to meet with them somewhere else. Since Abbott received a special envoy concert some months ago, the response from the leading Australian indigenous leaders has been almost unanimously critical. "[Mr Abbott] has not bothered to meet with me as a minister of aboriginal affairs and I'm pretty offended and tired of it, "Vowles said this week after Abbott made his first visit to the territory as a special envoy." It's about keeping his busy, give him an extra coin, give him a special title. " "I'm sure Mr. Abbott would say that he is not an expert in education, we have experts in indigenous education and we want those voices to rise," Mason said when asked whether Abbott would have a positive impact on education indigenous. "Tony Abbott has a record of denying aboriginal people their right to social justice, but also self-determination," Huggins told ABC. "There is almost the notion of the main defender coming back to re-visit us. We are all very shocked at the result." "There was not enough conversation with field communities to listen to work needs and solutions and to work with them," he told ABC radio in August. "Of course we do not have the confidence or hope that this messenger and this role will make the slightest difference." "In 2015, again as prime minister, Abbott advocated for the forcible closure of about 150 remote indigenous communities in Western Australia, stressing that taxpayers should not subsidize life choices", wrote Latimore Guardian Australia, "Abbott is wrong about the job, but his boss, Morrison, is very paternalist to worry too much about it. There is a great patronage in both men." "It's a surprising development, given Mr. Abbott has commented this week that the portfolio of indigenous issues calls for Prime Minister's authority to do things," he said in a statement. "We asked for a voice in parliament so the parliament could hear directly from us, and instead we received a non-Aboriginal messenger to interpret our needs and the solutions we bring." "He has positions that are archaic in terms of the cultures of the First Nations, especially in remote communities," Dodson said, "describing them as life choices." We will have to wait and see what the Indigenous Advisory Council of the Prime Minister officially says about the role on Thursday.